As homeschool becomes more popular and widespread, there are many questions that people ask. As a mom who has educated her children at home, as well as enrolled them in traditional school, I have been asked a fair share of questions regarding educational methods at home. With more people homeschooling, some people may wonder if groups of homeschoolers should buy big buildings together. In fact, when a group of readers were asked for back to school concerns,theBarefoot asked this very question. So, why don't homeschool parents form a school together? There are many answers to that question. Contrary to what some may believe, social interaction is very important to most parents of children who attend school at home. The ability for kids to interact with the outside world during the day, rather than being restricted to a building is one reason that using a traditional school building may not appeal to some homeschooling families. It can provide a great opportunity for children to socially interact with kids their age, as well as a variety of age groups. This type of outside world interaction could be a great preparation for when kids graduate and get out into the "real world." One of the main benefits to homeschool is the ability to choose or develop a custom curriculum plan for each child, based on his or her needs. Not all homeschooled kids will be using the same curriculum. For this reason, it may be more difficult to hold school in a building in a traditional class setting. Since everyone may not be using the same plan or methods, parents and other teachers might all be talking at once. This could be a very distracting and confusing learning environment that may even hinder the educational process. Some homeschool parents choose this form of education because of the flexibility it provides. Children in a homeschool environment have the unique opportunity of being able to learn everywhere. Class does not necessarily have to be held behind four walls, sitting at a desk. Math and nutrition might be taught in a combination lesson at the local farmer's market, for instance. Of course, some learning will still be completed with paper, pencils, and books, but there is often more flexibility in a “home” learning environment. This flexibility could possibly be one reason some homeschool parents would choose not to hold school in a traditional school building. There actually are some homeschoolers who choose to learn together. 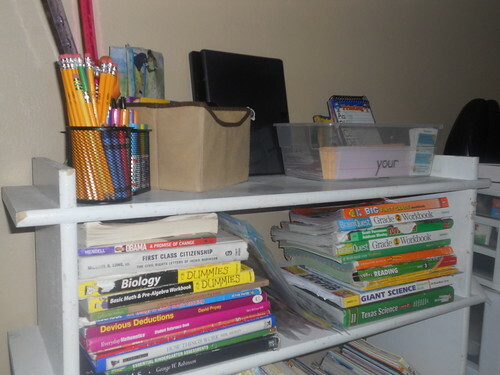 This type of arrangement is often called a homeschool co-op. Usually in these arrangements, the classes are offered as a supplement to what the kids are already learning in homeschool. The classes are usually held only on certain days, still leaving room for the flexible learning environment that home school can provide. There also are homeschool co-ops in which a group of parents work together to form a teaching plan. In these type of arrangements, a parents who specializes in a certain area may have the opportunity to aid other students in that area. When deciding between public, private, or home school (or various homeschool options), the answer will differ for everyone. That's often why parents choose to homeschool. They likely have come to the conclusion that not all children have the same educational needs. What works for one child may not work for another. Education is about providing a child with the best learning opportunities possible. For the most information to be gained during learning, a child's individual needs, as well as the available options, should be taken into consideration. Note: A special thanks totheBarefoot for asking this question. He's a freelance writer and IT expert who writes about a wide range of topics. His content subjects include politics, writing, news, relationships, and many more. Expect his work to be entertaining, informative, and engaging. Back to school! The first day or so of elementary school is usually hectic, whether kids are in public, private, or home school. Supplies are being collected and inventoried, everyone's adjusting to the schedule and routine, and the kids may need something to keep them busy. While parents and teachers are busy gathering supplies and preparing for the school year, kids can enjoy these and other back to school activities and art projects. As a mom, homeschool teacher, and former nanny, I have created and organized many back to school crafts, art projects, and activities, many of which have been geared toward elementary students. Here are a few that students might enjoy. Many people may remember playing "school" as a child. Here's a fun back to school activity to introduce your kids to the concept of school time. This is especially beneficial for kids who haven't yet started school. But, in my experience, most elementary students like playing school, even if they're already in school.This game is best played with a group of friends or family members for the most interaction and real-life experience. Choose one person as the teacher. Everyone else (if there are other kids) will be the elementary students. Set up an area just like a classroom and have the "teacher" hand out the supplies to everyone. The teacher gets to teach a lesson to everyone, using the chalkboard. It can be a serious lesson or can also be something fun like instructions to draw animals. To make it the most realistic, require kids to raise hands when asking questions. This activity can last as long as the kids are willing to play. Be forewarned that some elementary students may want to play all day. In this fun back to school activity, elementary students will race to place school items a backpack, mocking the act of preparing for school. This fun back to school activity prepares a child for the act of getting ready in the morning. While it probably won't be quite as hectic as in this race, there will likely be some mornings when kids are rushing to get ready. Give the elementary students a list of school supplies and a set amount of time to collect one of each school supply provided. The tricky part is that all supplies will be placed jumbled up with miscellaneous other supplies in two or three different areas. Whichever student loads his or her backpack with all of the items fastest wins the game. Kids like to create art that reflects their own lives. Allow elementary students to paint a picture of their school or classroom. If they haven't seen it yet, take them to see it or ask them to be imaginative and come up with a picture of their ideal classroom. The only materials required for this fun back to school art project are paintbrushes, paints, art paper, and the imagination of the child. Some kids are not so neat with paints, so smocks or aprons may also be a good idea. Back-to-school time can also indicate 'clear the wallet' time for parents and guardians. But it doesn't have to when it comes to school supplies. I know what you're thinking: "My child's list is huge! Can we really spend less than $25?" I have four kids that I purchase school supplies for every year. Our family is unique from some in that we have experienced purchasing school supplies both for traditional school and homeschool. Because I am a stickler for budgeting, I have always been able to stay under $25 for each kid. The school supply list below is a pretty standard list for first-graders. Some may vary slightly. I’ve included the prices I was able to take advantage of for this list, as well as where I purchased the items. Which items should you avoid? Many kids would like to have the heavily decorated supplies and the special Velcro binders. But the fact is that most teachers honestly prefer the plain ones for several reasons. Some teachers ask for enough supplies to last year-round and store the items in a locker for later use. Even when there is not supply-sharing going on, it's easier for the teachers to know which folders (and other items) are for which purpose if everyone has matching supplies. Besides, fancy designs also come with a price that will likely not fit into a budget of under $25. Also, avoid items your child may enjoy, but that are not on the school supply list. Is it worth it to shop around? That depends on how far apart the stores are, how much gas it costs you, and a few other factors. Our family is dedicated to being green. Therefore, we generally walk to most stores, unless they are too far away. Because of this, the cost of the school supplies is all we would spend. To get the most savings, it's best to shop at stores that have back-to-school sales and are near each other. The stores we used in our list above are all near our house and all within walking distance of each other. There's also a benefit to that if you are driving because it means less gas is spent. If you spend an extra $5-$10 (or more) on gas while running across town, you really haven't saved on the school supplies. Back to school time is generally a time of year when some parents choose to do the most stocking up on clothing. Whether your kids are educated in traditional or home school, back to school clothing is likely a necessity. Not only will the kids probably concerned about a certain look, but the season is changing and last fall's clothes may no longer fit, even if they're in good condition. Most people don't have unlimited cash, so here are some tips on how to make the most of a back to school clothing budget. Take the back to school event as the perfect opportunity to go through each child's entire wardrobe. Set aside clothing that is worn out or no longer fits. The worn out and improperly sized clothing can be used for other purposes (more on that later). The clothing that still fits and is in good condition can be used as part of the back to school wardrobe, providing it is weather appropriate for your area. Shop with those pieces in mind. Some retail outlets have a clearance version of their store. There also are outlet stores that offer department store clothing at a fraction of the cost. Some of my personal favorites for kids clothing areRoss andT.J. Maxx. In addition to their already low prices, these stores often have back to school clothing sales. I've gone to these stores and got name brand clothing items for less than twenty dollars - and even less than ten dollars. Remember that worn out and improperly sized clothing? There are several ways to actually use it in the back to school clothing wardrobe. For girls, use the worn out clothing to sew ponytail holders, headbands, scarves, belts, and other accessories. Cut pants to make them into shorts or capri pants and let out the waist if necessary. The unused clothing can also be used to create fun patches and designs on new back to school clothing. When you're done creating, please donate the usable clothing to a local church or homeless shelter for disadvantaged kids. Throughout the year, as you see sales, stock upon items you know will be used later. Items such as t-shirts, that will be used often can especially be bought in bulk. See a cute dress at a steal-deal price? Grab it one size larger than your child's current size. When back-to-school time comes back around, chances are it will then fit perfectly. If you have a friend that has a kid in the same size as yours, get together and swap clothes your kid no longer likes. Perhaps there will be some items your kid likes that the other doesn't and vice versa. It can turn out to be a win-win situation for extra back-to-school clothing items. Plus, what neither likes can be passed on to other kids or donated to a homeless or needy center for kids. Instead of purchasing 5 pairs of jeans and 5 shirts, you could buy 3 pairs of jeans and 7 or more shirts. This gives a child more back to school outfit options. I especially like to have plenty of shirts that will match with various pants, skirts, and shorts. If your child likes to wear jean material (or another material that several colors can match with) quite often, this idea works even better. Tops don't have to be limited to the bottom that they came with and vice versa. Ready to send your tween off for another school year? Wait! Before you do that, make sure your tween has all the necessities. School supplies are far from the only thing your tween needs. There are some must-have items you may not think about. Even if you consider the item, you may not realize just how important certain aspects of it may be. As a veteran mom, here are some of the must-have accessories I recommend for tweens. A backpack that fits right makes all the difference. You likely already know your tween needs a backpack. But did you know that fit is important? If your tween is walking around with a backpack that does not fit right or is too bulky, it can cause serious strain on the back. The straps should not be too loose and your tween should not have the backpack hanging too low. Straps should be snug, but not too tight. Did you know that backpacks are actually sized for certain age and weight ranges? Be sure you are choosing the correct one. While the latest character backpack may be appealing, if it isn't the right fit, you are not doing your child a favor by purchasing it. Journaling helps your tween remember assignments and get down feelings. A journal can be a great way for your tween to write down thoughts during break times. This can help relieve any stress or get out any other emotions so they don't build up during school. It can also double as a way to keep track of certain assignments. Doubling it as a place to hold assignments helps prevent others from trying to read your tween's other thoughts. Decorative notebooks are great for this purpose, as you don't want the look to be obviously diary-like. Every tween needs a cell phone. I realize that some parents will cringe at me saying this. However, the world is much different than it was when we were kids. Having a cell phone helps keep your tween safe. Be sure that rules are set to only use it during certain times and to keep it put away safely at other times. If your tween rides or walks home from school with someone other than you, a cell-phone can literally be a life-saver. While it may sound like giving in to a trend, the reasons a tween should own a cell phone are much more important than that. There are low-cost, pay-as-you-go plans, as well as unlimited plans to help avoid your tween from racking up unnecessary costs. A safety ID helps protect your tween. All kids, especially tweens and teens, should have a safety ID. This is an ID card that features a current photo, fingerprints, and vital information about your tween. Many hospitals and other safety-geared organizations hold events where these can be obtained. If you cannot find one, check with your child's doctor to see if they know where to get one in your area. Generally, there will be a copy for the child, as well as a copy for the parent. This ID will be used to help find and identify your tween in the case of an emergency. A small file folder helps keep things organized. Tired of trying to figure out whether your tween has any papers you need to sign or not? Is there homework? A special event coming up? Is your tween constantly losing assignments or not keeping them sorted by class? A small file folder can help keep up with all of this at once. Designate a section for each subject, as well as for parent papers. That way, your tween can stick each paper in the correct slot before bringing it home. Homeschoolers on the go need to always have certain items on hand. But do you know what they are? If your homeschooling family is on the go like ours, it will make learning so much easier if you keep certain materials around. Whether you need materials to save the lesson for later, study while on the move, or create memories, my family's experiences may help. A compact digital camera and camcorder adds to the lesson. Kids who are encouraged to film and take pictures of specific items and lessons can get a double lesson. It also serves as a great memory for later. We like to take pictures of the nature we view, places we go, as well as just fun moments that we have. This helps us recall the lessons we learned together as a homeschooling family. But it also gives us great family memories. Sometimes lessons happen when you least expect them. Always having a camera ready can help you capture those moments. Collection slides and dishes are a must. Homeschool outings to the lake or pond can produce some interesting results. The same can even be said for a drainage ditch, walking trail, and even just a city walk to the store. Specimen dishes and collection slides come in handy in many instances. Homeschoolers on the go should never leave home without them. Collecting specimens is just one more way of being able to continue the lesson at home. If you have a microscope, they come in handy even more. We've collected bugs, leaves, moss, pond water, and more all because we had some type of collection dish with us. Nature happens all around us. A small laptop serves several purposes. Need a place to take notes? Perhaps you just showed the kids a certain dinosaur and need some follow up questions or activities? We've used the laptop to watch educational movies, research something relevant to the day's studies, and even to take notes. All of the above and more contribute to laptop being a must-have for homeschoolers on the go. Smaller notebook computers may be better than the full-sized versions, as they are more compact for easier traveling. Look for thinner, lightweight models, if you don't already have a small computer to use. A fully charged cell phone keeps you prepared. Ever get lost on the way to a homeschool field trip? Don't have GPS? No problem. A charged cell phone that has Internet capabilities can help. Cell phones with GPS or even capabilities to visit Yahoo! or Google maps can be used to tell people where you are, as well as lead you to your destination. Then, of course, depending on where you are going, you may need to call and talk to that company. On the less cheery side of things, cell phones also come in handy if something goes wrong. Cell phones with cameras will also eliminate the need for a separate camera. When choosing a child's curriculum, you first want to be sure that it will suit the child's needs and meet requirements. There are many methods to consider. Once you have narrowed it down, you might find yourself deciding between an online curriculum and a textbook curriculum. There's not really a one size fits all solution when it comes to education. Each family's needs will differ significantly. So how do you know which is best for your child? In my years of experience as a homeschool teacher, I've had to make this decision several times with more than one child. Which study habits are most effective for your child? Does your child learn better from a book, games, or other methods? When choosing between an online and textbook curriculum, consider the methods that apply with each. Whichever one more closely resembles your child's learning style is likely going to be the most effective. If your child learns best from hearing instruction and the instructions are mostly from books, it will be more difficult for your child to learn. If your child has unique learning needs (such as vision issues or disabilities) examine each method and figure out which one works the best in those circumstances. Which program lines up with your family's lifestyle? Is your family always on the go? If so, a textbook curriculum may be best because it's easy to transport. Then again, if your child has a laptop and does well learning on the computer, the online curriculum may be better. Do you like to give lessons in the library? Will an online curriculum work with that? For instance, the child may need to wear earphones so as not to disturb others in the library. Will you still be able to instruct that way? There are many possible scenarios and answers. Consider what your family will be doing on a daily basis to help you come to a decision. Does your first choice line up with state standards? Each state has specific standards that need to be met when it comes to curriculum. Make sure that the method you choose lines up with those. If it doesn't, can you commit to supplementing what's missing? It's important that your child gets a proper education and if an online or textbook curriculum doesn't do that, it's time to reevaluate your choices. Our family prefers to use mostly an online course. But we also supplement with other learning materials, field trips, and hands-on lessons. Which choice will be more enjoyable for your child? While education is first and foremost, it's also important to be sure your child will enjoy doing schoolwork. If there is some fun mixed in with the work, a child is more likely to learn. On the other hand, if the work is boring or too laborious, the child may hesitate and actually learn less even if the program offers exemplary information. The material is no good when a child is resistant to looking at it. A child will learn more during an hour of time where there's interest than during eight hours of disinterest. Should you blend the two? If you can see benefits to both choices, perhaps a blend of the two will work well for you. Some kids learn better when they get to mix things up here and there. If your child gets bored easily, switching back and forth from textbook to computer could be the answer. If your child is the opposite and likes things to stay the same and be more structured, it may be best to choose one or the other. Does your child pitch a fit when things change? Do you hear "Mommy, I'm bored" all too often? Even if you don't have educational situations to compare, besides homework time, think about your child's reactions to everyday situations. If you're thinking about or have decided to homeschool, you likely are wondering about homeschool laws. What are the legalities and where can information be found? Each state in the US has a different set of rules. The following information should help guide you toward the most current information. One place to learn about homeschool laws is through your state's education department. When people think of the Department of Education, they may not necessarily be thinking about homeschool. But this agency should have access to the most current information regarding homeschool. The Homeschool Legal Defense Association (HSLDA) also can be extremely helpful when it comes to learning about homeschool laws. They even have a state by state breakdown of the legal options. In addition, they also can be very supportive to homeschool families who have been legally wronged. Can a Parent Be a Homeschool Teacher Without a Degree?